Following the devastation that Hurricane Harvey has brought to the Houston area, the news has been filled with images of flooded streets and homes. One particular video from a local news station caught our eye can be seen below. The flooding in Houston was extreme, but garages across the country experience problems with flooding, and whether a flood is minor or major, cleaning up after such an incident can be a daunting prospect. 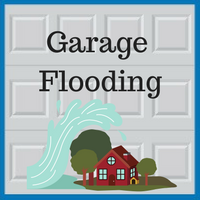 Here are some tips for how to clean your garage after a flood. 1. Remove any standing water – If any water remains in the garage, use a wet-dry shop vacuum to remove it. It is a good idea to wear rubber boots if you are standing in a wet area of your garage. 2. Move furniture and other items – Take everything out of the garage, including shelves, tables, storage containers, and any other items, and set them outside to dry. Any furniture containing porous material such as stuffing, leather, or fabric should be thrown away, since it will have absorbed contaminated water. 3. Get rid of mud – A flood is likely to deposit a great deal of mud in your garage, so you will likely need to remove it with a shovel, then use a hose to spray any remaining mud off of surfaces in the garage. 4. Clean and disinfect - Flood water can contain germs and bacteria, so it is important to completely disinfect all surfaces and items which have been submerged. First, wash surfaces with hot water and soap, then disinfect with a solution that contains 1/4 cup of chlorine bleach per gallon of water. Small items can be disinfected by dipping them in this solution. 5. Be careful with electrical systems – Electricity to the garage should be turned off until the system has been repaired and inspected by an electrician. Any wiring, switches, outlets, or junction boxes which were submerged must be completely dried out before they can be used, and any mud which has built up within these systems will need to be cleaned out. 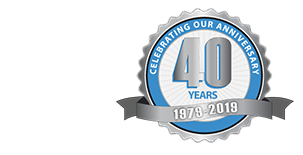 Contact the garage experts at Blue Sky Builders today for more information about cleaning your garage after a flood. Whether you are dealing with a small amount of water or a major weather catastrophe, we are here to help. Visit us online at www.blueskybuilders.com, or call us today at 630-852-8485.